If you are planning to head out for a fun filled Lohri event, we know that you want to look your absolute best. Now while the dress, shoes and the hair are easier to do, the makeup is the most complex element of any perfect outfit. If you have been waiting to try out a smokey eye but just aren’t sure how to do it, we’ve got you covered. Follow these step by step instructions to create the perfect smoldering smokey eye look and get ready to have all eyes on you this Lohri. After applying your foundation to the entire face, start by prepping your lids. Use an eyelid primer and apply it generously over the entire lid. This helps the eye shadow to stay in place all night long. Blend in the eye primer properly and create an even base for all the makeup. One of the biggest villains in the smokey eye game is dark circles. 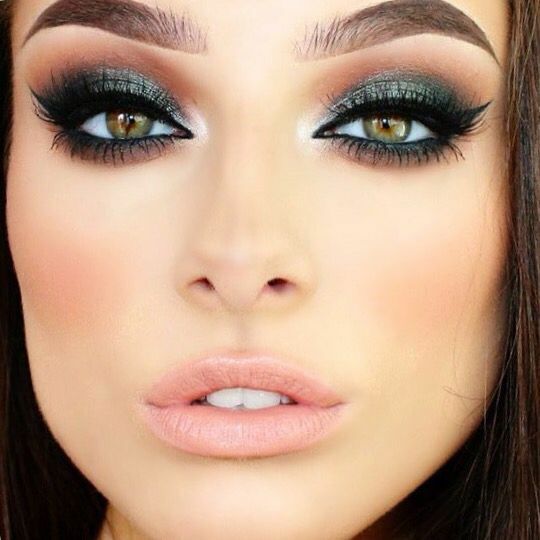 Bags under the eyes or blackness on the under eye region can bring down the entire smokey eye look and make you look tired, dull and drawn out. Use a cream based concealer and apply it below the eye. Blend it in lightly using your ring finger or a concealer brush. Use a translucent powder and use a big fluffy brush to tap this over the concealer. Do not blend it in completely. This powder is helpful as it catches any loose eye shadow particles that fall near the eye. Once you are done with the makeup, you can just wipe away the powder with a tissue and that will remove any traces of fallen eye shadow dust ensuring your makeup looks flawless. Using an eyelash curler, gently curl your lashes. You can even warm up the eyelash curler for a few seconds with the heat from your blow dryer and then use it. This helps to curl your lashes faster and have it last longer as well. Now choose the shades you want to use for your smokey eye. You can opt for the classic black or gray, or go for more metallic tones like silver or gold, or even opt for something more fun and dramatic such as blue or orange. The choice is yours. Ensure that the shade you use has another lighter complementary color that can go with it. Start by applying the lighter shade all over the eyelid up to the crease. Now apply the dark shade on the outer corner of the eyelid to the crease and blend it in. Then use a small angled brush and apply the same eye shadow shade just below the lower lash line. This helps to create more of a dramatic effect. Highlight the inner corner of your eye and the area under the brow bone using a white or ivory eye shadow to create more definition. Now use an eyeliner pencil with a soft, creamy tip and draw a stroke along your top and bottom lash line. Then, using a smudging brush or an ear bud, gently smudge the eyeliner outward and upward and blend it in with your eye shadow. This creates and amazing smokey effect. You can do the same with the lower lash line. To top off the entire look, apply a generous coat or two of mascara, and wipe off the translucent powder you had worn earlier using a tissue and voila, you are all set to conquer the Lohri party!